I truly believe that our attitude in life determines not only the joy (or lack of joy) we experience but it also influences our lives in very real concrete ways. The way we think about things determines our actions and therefore our results. I know of no surer way to happiness that having an attitude of gratitude. Today, I am very happy to have a guest to answer the question, “What is an attitude of gratitude?” and share with us that we can teach ourselves and our kids how to have an attitude of gratitude. Kat Kronenberg is a debut children’s book author living in Austin, Texas. As a member of the Society of Children’s Book Writers and Illustrators, her hope and dream is that through reading we can encourage one another other to “follow our bliss,” stay in the arena fighting for our dreams, and allow joy and fulfillment to be our internal GPS. In addition to spreading her message through her children’s book Dream Big, she also provides interactive games that promote positive thinking, Common Core aligned discussion and project guides, and free downloadable activity sheets at www.katkronenberg.com. Dream Big (Greenleaf Book Group, January 2017) is available from Amazon (affiliate link below) and other booksellers nationwide. Life can be hard. Life can be scary and filled with crazy twists and turns we don’t see coming. 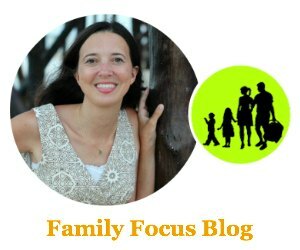 How do we navigate these crazy roads with our kids? How can we help them process their pain, disappointment, and perceived failures? BY DEVELOPING AN ATTITUDE OF GRATITUDE! Viktor Frankl, who was the only survivor of his family along with his sister from the Nazi concentration camps, came out of this grueling experience to write a book he titled “Saying Yes to Life in Spite of Everything.” Our English translates this title to “Man’s Search for Meaning.” No matter how treacherous and scary the roads we travel, if we choice to say “Yes!” to find ways to use what we go through for the good of ourselves and others, then we too can give our hardship meaning and purpose. We get to rise above the dark clouds to where the sun is always shining. Gratitude always lifts a fallen spirit. Over the years, with a lot of research and trial and error, I found “three parts of the road” that can help lead and show our kids how to rise above, where to travel, and what direction to go in so that they too can find meaning no matter how scary, dark, or undefined the turns that come racing into their reality might be. These three parts are your smile, hope, and connection. A smile speaks every language, transcends any hardship, changes the energy in a room, and the depth of a mood. A smile has power to create or change any reality. A smile allows us to give thanks no matter what, and develop an attitude of gratitude that can allow us to hold and withstand any load. If we can find a way by ourselves or with the help of another to put a smile on our face, we can prevail with a “YES”! We can cross any crevice. We have a U-Shaped bridge to anywhere. Hope is the pillar on one side of your U-Shaped bridge. I like to call this deeply-rooted, stable pillar a belief in yourself, your dreams, and the strength of “Something Bigger” that is out there always watching over you. When we believe in all three, we can endure almost anything. We have the warmest, safest, best blanket that can cover any pot hole we encounter. We can and will get to the other side. We are not alone. As Frankl wrote in his book, “Love is the ultimate and the highest goal to which Man can aspire…In a position of utter desolation, when Man cannot express himself in positive action, when his only achievement may consist in enduring his sufferings in the right way – an honorable way – in such a position Man can, through loving contemplation of the image he carries of his beloved, achieve fulfillment.” A truly firm, enduring pillar on the other side of our U-Shaped bridge that can weather any storm. The gift, beauty and strength of love. To make your kid’s U-Shaped Bridge the road they choose when they are lost and confused, every morning and night together name three things you are grateful for, and start sharing smiles every day. Help each other. Train one another to travel down the most beautiful landscaped roads. Allow each other to radiate smiles through tears, pain, and heartache; to share smiles of complete, abandoned, and silly fun with no care for how others will judge you; to give genuine smiles to people who have hurt or disappointed you; and to smile just because. Remember when we choose to say “YES” we are celebrating this great adventure we call life no matter what road we are on. We can always rise above, bridge any void with a smile, and find at least three things we are thankful for. No matter what kind of day we have had we can always find, share, and smile about a best part. 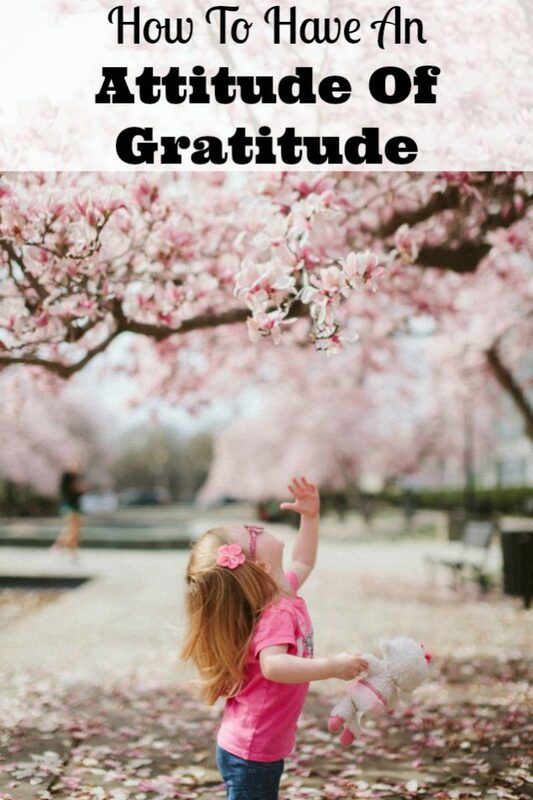 I hope you found Kat Kronenberg’s words inspiring and don’t forget as a parent that your kids are watching and modeling so the best way to teach an attitude of gratitude is to demonstrate one daily! Do you find little things to be thankful each day? Take joy in the sun or the flowers. Take joy in a smile or a laugh. What is an attitude of gratitude really? It is just being thankful for our blessings no matter the size and looking for the silver linings. Attitude Of Gratitude is a critical need for every child and parents must do their best for developing this Attitude in children. Thank you for this mean full post, Kat. I totally agree with you. I think the most important thing to help our kids have gratitude is our behave. If we don’t show our attitude of gratitude and tell them about everything we are thankful for, they would never learn.